Jonathan LaPoma is an award-winning novelist, screenwriter, songwriter, and poet from Buffalo, NY. His novel DEVELOPING MINDS: AN AMERICAN GHOST STORY and his screenplay A NOBLE TRUTH will be published by Laughing Fire Press in 2015, and his short story A SACRIFICE TO THE GOD OF THE BLUES appeared in 34thParallel Magazine's November 2014 issue. His five screenplays have won over 40 awards/honors in various international screenwriting competitions, and his novel DEVELOPING MINDS is a finalist in the 2015 Stargazer Literary Prizes for best Visionary and Metaphysical Fiction. LaPoma typically writes character-driven dramas that blend darkness and humor, and his work often explores themes of alienation and misery as human constructions that can be overcome through self-understanding and the acceptance of suffering. He lives in San Diego, CA and teaches at a public secondary school. Developing Minds: An American Ghost Story is a contemporary fiction novel written by Jonathan LaPoma. Luke Entelechy has been a student teacher and has subbed, but his teaching career is really about to begin when he acts on his impulse to go down to Miami for a teaching fair. He was planning on going by himself until his friend Billy decided to go along with him. Billy's been teaching at PS490 in Queens, an F-school, and he figures anything's got to be better than that. The fair is a maelstrom of over-eager and desperate job seekers, including Luke and Billy. Billy manages to snag a prime teaching spot at Little Havana Elementary. He figures the woman who approved him has romantic designs on him and dreads the day she finds out he's gay. 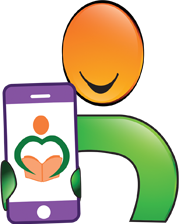 Luke doesn't get hired on the first day and doesn't harbor much optimism about his chances on day two, so he's surprised when Karen Dawson, the Vice-Principal at George Washington High in Opa Locka, hires him. It's an F-rated school, but Billy says it's got to be nowhere near as bad as PS490 was. After a few days of settling in and exploring the beach, their school year begins. 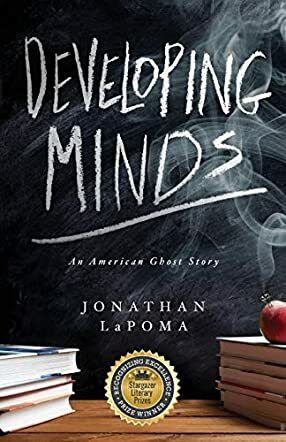 Jonathan LaPoma's contemporary fiction novel, Developing Minds: An American Ghost Story, should be required reading for anyone who is considering or has ever considered teaching as a career. The author is a secondary school teacher, and his character's first year at George Washington is filled with the nightmares, the moments of despair, and the occasional glimpses of satisfaction that keep teachers doing what seems all too often to be an unappreciated and thankless task. I was fascinated by the story and found myself unable to tear my eyes away from the text as Luke learns to read his students and to understand where they are coming from. LaPoma's characters are sharply defined and feel like real people, from the needy and mercurial Billy to the philosophical Professor. I also loved getting to know Miami and southern Florida through the author's eyes. Developing Minds follows Luke and Billy as they work through that first year's teaching assignments in Miami, and it's marvelous vicariously experiencing their triumphs, trials and frustrations. Developing Minds: An American Ghost Story is most highly recommended. Developing Minds: An American Ghost Story by Jonathan LaPoma revolves around Luke Entelechy, a 24-year-old fledgling writer dissatisfied with the way his writing skills are progressing, which he feels is due to his teaching job at a middle school in Miami. He feels alienated though his friend, Billy, is also there and is unhappy teaching there. Luke realizes that either he has to rise above the difficulties, understand his writing talent and do justice to it and his life, or be unhappy and let it destroy his talent, passion for living, this ruining his life. Apart from the story of Luke, the book also exposes the American public school education system. 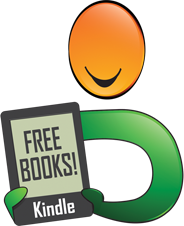 As the story progresses, readers will be gripped by the many dimensions the plot has to offer. The author captures the moments between the teachers and the students beautifully, making them real and tangible. 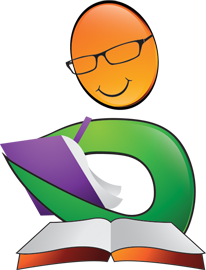 Billy and Luke have been portrayed well and their struggle trying to cope with the harsh school system resonates well with readers. The story is honest, authentic, entertaining and poignant, and the contrasting images of a young man trying to grow in his personal life and the failures of the Miami school system have been woven together well without sounding forced. Along with that, the friendship of the two guys also gives the plot another dimension. 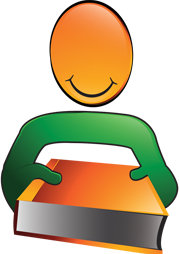 The author's writing style is fluid and the story has a good pace and movement. Jonathan LaPoma weaves all the sub-plots into the main plot seamlessly, making the book an engaging read.